World War II interrupted Anneros Valensis childhood. Born in East Germany in 1938, she was just six years old when the war and its fallout struck her and her family. In Where is Home? she shares the story of how she survived the miseries of war. In a narrative told from the perspective of a six-year-old child, this memoir shares the realities of what life was like during that time and what needed to be done to stay alive. 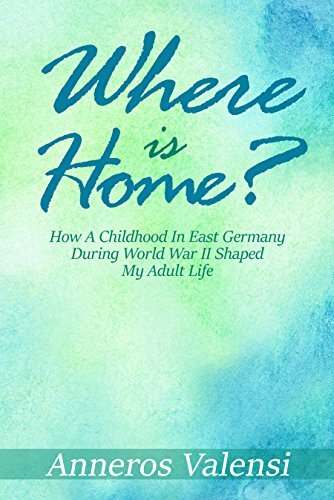 Valensi tells the stories of war, beginning with the cruel Russian occupation of her homeland, the trauma of an unsettled life, her familys move to West Germany in 1946, the drafting of her father into the army, and life with her mother and four siblings when there was scant food and no shelter. Where is Home? follows Valensi as she seeks a new life first in London and then later in the United States. Providing stark, firsthand insight into the realities of war, Where is Home? tells one familys story, the challenges they encountered, and the long-term effects on their psyches.